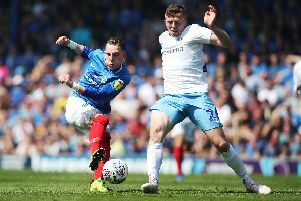 POMPEY assistant manager Joe Gallen said he was pleased to see the Blues sitting on top of League One. The Fratton Park side won 3-1 at Rochdale this afternoon thanks to a goals from Jamal Lowe, Brett Pitman and Matt Clarke. Gallen said: ‘It was good to get the win away from home and to carry on with our run.